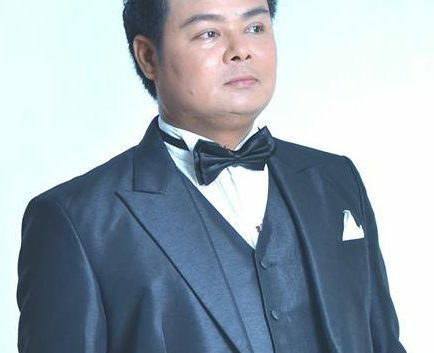 With his previous album Lermmay, he has reached Lao pop legendary status. His latest is dropping just in time for summer, and is looking to be massive. He represents change and progress in our entertainment or music industry. He again raises the stakes already brilliant music. His latest songs are to remind us just how far ahead of his time. He will again bring simplicity, beauty, elegance and brilliance back to songs we once dearly loved listening to. These are two of his latest songs which are specifically written for him by songwriters who currently are living in France. They are Ajarn Tiao Khamphay Khounlavouth and Ajarn Karbkeo Souvanlasy. These two songs are only sample. Check back here for more of his latest. laopress.com: Over the past years, Lao pop/rock music has just exploded what’s the view from the inside? why is that? what is pushing them off? sithiphone: Actually, groups of pop/rock listeners in Laos are very small if we compare to other countries, our population, markets or you can say “consumer”. During the past years I think Lao music has so developed and not only pop/rock also Lao folk, traditional Lao Lum, Louk Thong Ban Na. Some are the best in quality, and some are not that good. There are more choices for our fan/consumer depending on what style of music they want to listen to. Lao government is more opened up and welcome new ideas, including advertising sector, TV, Radio, and there are various activities for young Lao youth. And now they are coming back to listen to Lao songs, Still they have choices from international artists, it is the way of new generation new Lao. laopress.com: What is hot right now? laopress.com: how do you think of music – a form of self expression? art? entertainment? sithiphone: I think music is an art/entertainment because music is easier to communicate between countries without understanding those meanings. laopress.com: tell us something nobody knows about you? For people who don’t know your music, describe your sound. Do you write your own music? sithiphone: Well, I am an easy going person, love friends, love party, and love sharing new idea with everyone. I love to write and compose my own songs because I can communicate the feeling of singing and the mood of words from my personal experience. There are many excellent songs composers but I would like to share my idea more than using others. laopress.com: What music are you listening to at the moment? sithiphone: pop, rock, countries, and Latin rock. laopress.com: Techno friend, do you plan to record new album together? sithiphone: We will get together one day it depends on whether everybody have time. sithiphone: My Third albums will complete or finish in middle of year 2004. And also Lao Art Media will have big concert at That Luang Park on December 27, 2003. On that day I may sing my 2 or 3 of my new songs. Hope to see fan from your end of town visiting Vientiane and celebrate New Year with us.